Who Is Leading the Race for Advanced Energy’s PV Inverter Market Share? GTM Research’s U.S. PV Leaderboard has the answer. With 40 percent market share in 2014, Advanced Energy dominated the U.S. non-residential inverter sector as market-share leader -- a position it held since late 2012 after the fall of Satcon. But collapsing prices on commercial and utility inverters, coupled with dwindling investor patience for low margins, made for a hollow crown. Advanced Energy announced its intention to sell the inverter business in late 2014 and finally shut it down in June 2015 after failing to close with prospective buyers. So what company or companies are filling the Advanced Energy-shaped hole in the commercial market? 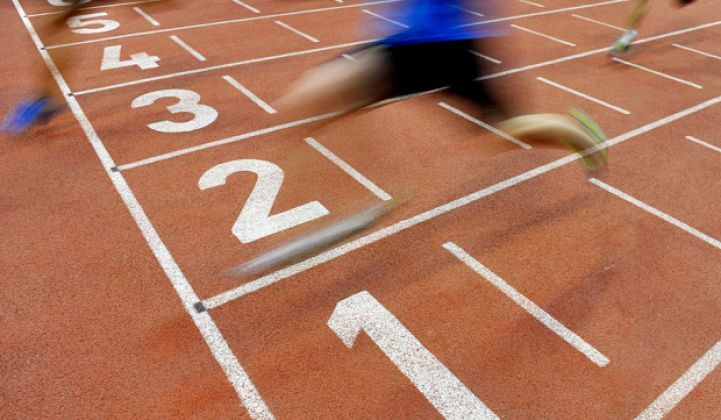 According to GTM Research’s latest U.S. PV Leaderboard, the industry response has been a move toward familiar options on the part of the next largest suppliers. 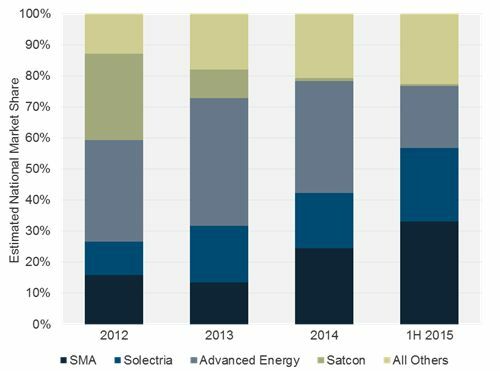 SMA and Solectria have been the big winners, picking up 8.8 percent and 5.5 percent, respectively, of non-residential market share in the first half of 2015 over 2014. 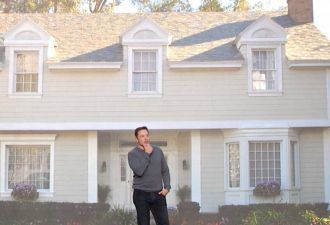 However, uneasy lies the head that wears the crown in the U.S. non-residential market. Just a few years before Advanced Energy’s exit, Satcon commanded over one-third of the non-residential space before it declared bankruptcy in Q3 2012. In fact, over the past few years, the industry has seen a number of inverter manufacturers exit, with industry stalwarts like SMA and emerging players like Enphase also taking a beating by public markets. Should new U.S. commercial market leaders SMA and Solectria be worried? Yes, but let’s not oversell it. First, other problems plagued Advanced Energy, which failed to innovate its product line, and Satcon, which struggled to maintain profitability throughout its tenure. Second, we anticipate annual U.S inverter pricing declines to lessen from 11 percent per year from 2014 to 2016 to 8 percent per year between 2016 and 2020 -- easing but not entirely eliminating pricing pressure. Because they are the market leaders and preferred vendors to leading commercial players such as SolarCity and Borrego Solar, we expect that SMA and Solectria will solidify their positions as Advanced Energy’s remaining market share is carved up through the rest of the year. There is still fierce competition in the space. Product lines continue to evolve as inverters become smaller, higher-powered, more fully integrated, and able to support higher voltages. The market is still poised for disruption, and SMA and Solectria are not the only ones that have taken advantage of Advanced Energy’s exit. Chint Power Systems, SolarEdge, Enphase, Eaton, and Sungrow all gained non-residential market share in the first half of the year. For more information on GTM Research's inverter data and analysis, contact sales@gtmresearch.com.